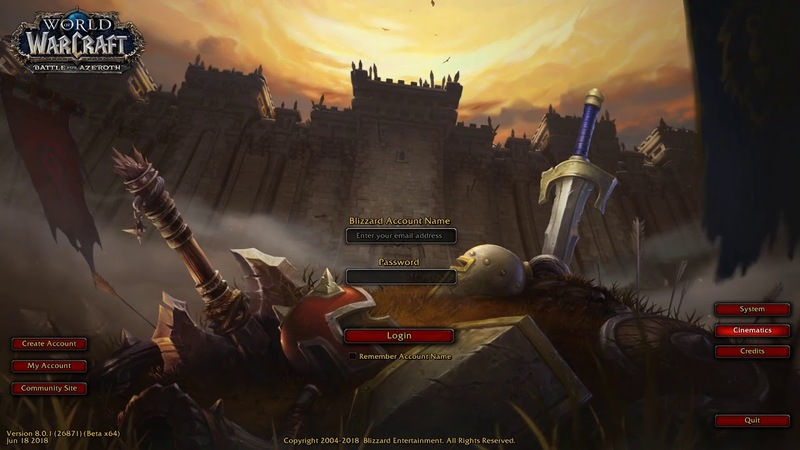 The latest expansion in the world’s longest running MMORPG— World of Warcraft: Battle for Azeroth—has been nothing short of controversial. Fan reactions have been divided with the new changes brought on by the BfA xpac. Bugs and technical issues plagued the expansion in the beginning and contributed to much of the negative reaction it received. Blizzard would soon release the first patch to the expansion: the Tides of Vengeance. No release date has been set but the company has publicized some details regarding gameplay and lore. Players expect the upcoming patch to fix some of the issues that keep garnering complaints. Some fans were not happy with certain changes Blizzard made to core gameplay following the previous expansion, Legion. Quite infamously, the legendaries of Legion were replaced with a new gearing system based on Azerite, a fantasy element mined from the “blood” of Azeroth, the world the game is set in. With the new patch, Blizzard might make up for those mistakes. Perhaps the most intriguing improvement rumored to come to 8.1 are the new optimizations for the game. Unlike most recent previous expansions, Blizzard will introduce multithreading optimizations to make the game run smoother on newer gaming computers. The optimization would only affect people with gaming computers that run DirectX 12. Your computer would also require a Windows 10 operating system. This would further require a top-notch processor. World of Warcraft is a CPU-bound game, which means that its performance is highly dependent on how speedy the CPU is. You can technically run the game on even an older processor like a dual-core Intel Pentium, but for the optimal experience, upgrade to a new gaming computer with the latest processors and GPUs. Fans of the game have not been particularly pleased with the direction the story has been taking, to put it mildly. In BfA, Blizzard controversially set the torch to Teldrassil, the starting zone for the night elf players and one of the most important landmarks for the race. The Legion expansion ended with the faction war between the Horde and the Alliance once more coming into focus. With Tides of Vengeance, Blizzard is determined to continue making the faction war central to the premise of the expansion. Patch 8.1 will pick up on a number of unresolved story threads. And there are quite a number of these. Harking back to the cinematics and cutscenes from the previous expansions, players will go on a quest to discover why the Horde’s former warchief, Vol’jin, appointed Sylvanas Windrunner as his successor. In a previous cutscene, players learn that spirits whispered her name to Vol’jin as he lay dying. Given that Sylvanas goes on to ignite the faction war and burn down Teldrassil with thousands of innocent night elves inside, players may learn what kind of spirit was behind this incident. Rigorously data mined texts from 8.1 also shows a questline with another important Horde character, Varok Saurfang, and the brand new character Zekhan, whom fans have lovingly nicknamed “zappy boi.” Saurfang was captured by the Alliance at the end of BfA. In the new patch, players learn that he has escaped, albeit under suspicious circumstances. Warchief Sylvanas wants players to join one of her dark rangers to bring Saurfang back into the fold, or so she claims. Along with the faction war is the looming threat of N’zoth, an old god, and his “queen,” Azshara, the fallen elf queen of Azeroth’s not-so-distant past. The two have lurked in the shadows for several previous expansions and will most likely make a comeback in 8.1. Patch 8.1 will introduce brand new boss raids and other gameplay elements that form the essential backbone of BfA. Tides of Vengeance will feature the Alliance going on the offensive against the Horde’s destruction of night elf lands. The high priestess of the night elves, Tyrande Whisperwind, undergoes a dangerous ritual that transforms her from a priestess into the Night Warrior, ready to wreak vengeance against the Horde, hence the title of the new patch. The Alliance offensive would include the highly anticipated raid on Zuldazar, an ancient empire of the Zandalari trolls. There are cool new looks and skins players can use for this segment. 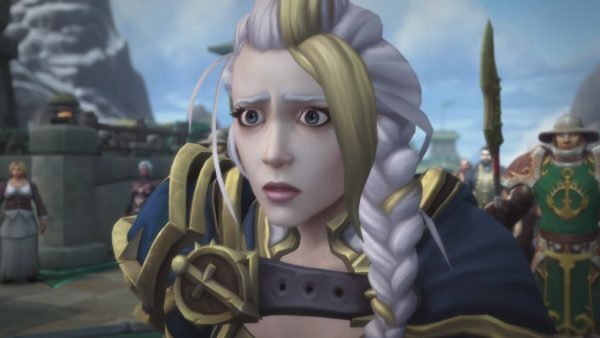 The Kul Tiran Admiral Jaina Proudmoore will lead a naval assault that will be met by the navies of the Zandalari trolls lead by Princess Talanji. Horde and Alliance players would have different experiences when it comes to the raids presented in this patch. For example, the Siege of Zuldazar, a major 9-boss raid, would have the players of the two factions fighting on different sides of the same city. There’s a plan for a smaller 2-boss raid called Crucible of Storms. Though small, this has an important lore connection to another raid in Stormsong Valley. This raid would supposedly connect N’zoth and Azshara to the larger storyline. Patch 8.1 would add new war fronts, as well So far, data mined texts show a new battle for Darkshore, where the night elves push back against the Horde, particularly Sylvanas and her Forsaken. Ion Hazzikostas, the game director for World of Warcraft, has said that Alliance would be the aggressors in this scenario. There’s another confirmed war front in the Arathi Highlands, said to feature “unique” bosses and drops for cool new armor for night elves and the Forsaken. The upcoming patch would also introduce Incursions, heavily based on the invasions featured in legion that fans particularly loved. Not much is known yet about Incursions in BfA, but developers have promised to deliver new gear and experiences with these. There will be shiny new World Quests to complete, not to mention World Quests in Zandalar and Kul Tiras. It’s not known yet whether Blizzard would introduce more quests in other zones as well. Blizzard is still mum on what exactly will come to patch 8.1. The above details are what we gathered from announcements and data mined information. So far though, everything looks very promising. The above post has been a sponsored post from Computer-Realm.net. 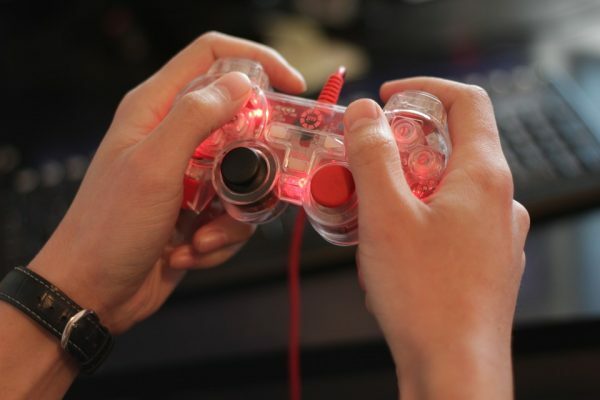 Broken Joysticks does not receive any commission from sales made through embedded links on our site but we were paid a small fee for hosting this article.